Ambulance officers complain bitterly about shortcomings in their service. Ironically I’ve been doing cartoons on the same issues for over 20 years and successive governments have failed to find a solution. 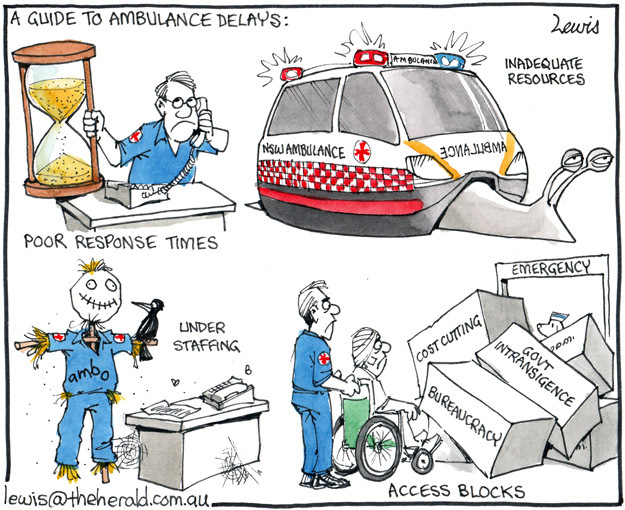 This entry was posted in Editorial Cartoons and tagged ambo, ambos, ambulance, health, hospital, hospitals, medical on November 29, 2012 by Art by Peter Lewis.